If you love food, and you are a people person, starting up a catering business may be a good idea. You can do what you love and make a living from it. It’s true that the catering market is a crowded one, but you can make a business work if you are prepared to do the hard work that is required. When you are starting up your catering business, you need to plan effectively and make the appropriate preparations, in order to give your business the best chance of succeeding. There are various aspects that you need to pay attention to including which market to compete in, how to package and store food items, developing a business plan, registering the business and purchasing equipment. Here ,Emma Evans in collaboration with First Food Machinery brings you a guide on how to start a catering business. If you are just starting out as a caterer, you will probably not be in a position to cater for large events, so think about focussing on smaller gatherings and low key occasions, to begin with. You may like the idea of choosing the kids’ party niche, or the baby shower market. Depending on which market you choose, you need to plan your product range. Do your market research and find out which products are popular with your target client base. You also need to think about where your cooking talents lie and what specialities you can provide. 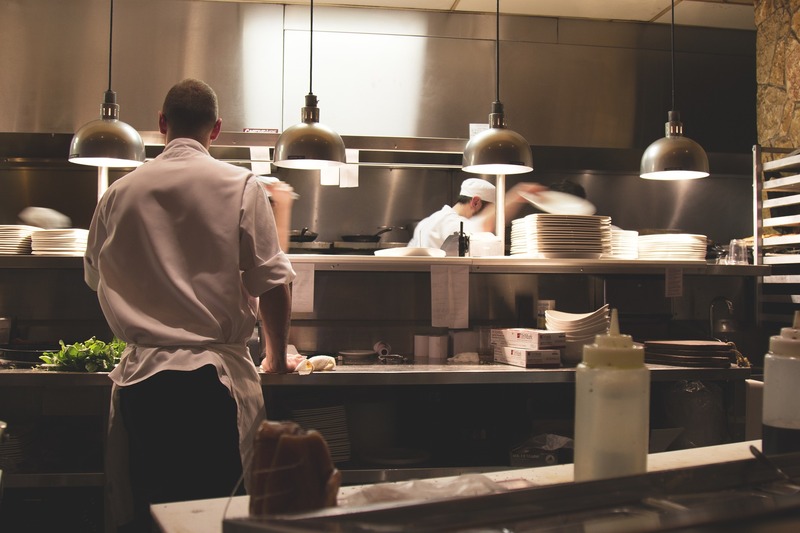 Food safety and hygiene are essential if you want to operate a successful catering business that achieves good Food Standards Agency ratings. You need to ensure that you use sanitary food suppliers and avoid issues such as cross-contamination by maintaining sanitary preparation methods. You will need to write a robust business plan in order to measure the ongoing performance of your business and to secure funding and investment. Any business that carries out food operations needs to register with the local council to secure a license. Food operations include the sale, preparation, storing and handling of food products. Registration is free and should be completed at least 28 days before the business starts to trade. You need to have all of the basic equipment in place before you start to trade as a catering business. Catering is an ideal opportunity for anyone who wants to be creative with food, enjoys working with people, is not afraid of hard work and has a good head for business. Making sure that you follow an effective start-up process, and put an effective business plan in place, gives you a better chance of being successful with your catering business. More on small business ideas and starting a baking business.